ABSRACT OF CONTENTS: ...weiterlesen "Developments in conservation"
ECOCULTURE was founded by Thomas Schultze-Westrum as an inter-commission task force of the International Union for Conservation of Nature (IUCN) in 1981. This movement originated from an earlier working group, Conservation and Traditional Life Styles, set up by the same initiator in the IUCN Commission on Ecology. The following introduction is quoted from the ECOCULTURE leaflet (designed by Keith Pointing; text by Clare Richards and Thomas Schultze-Westrum). 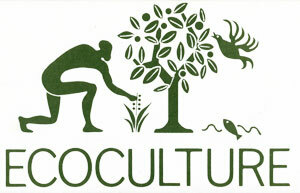 ...weiterlesen "ECOCULTURE: Conservation and Traditional Lifestyles"